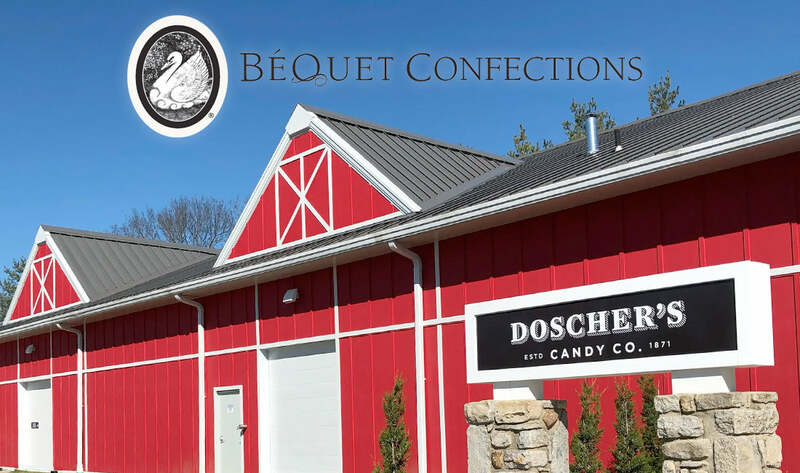 Cincinnati, OH – Today, Doscher’s Candy Company has purchased Béquet Confections, a gourmet caramel company out of Bozman, MT. It’s the latest in a string of aggressive purchases the company has made in their focus on growth. In the past year, Doscher’s has acquired the rights to the former Necco brand Candy House Candy Buttons, moved to a new mixed-use headquarters on the property of a renovated 1835 house in the Cincinnati suburbs, and purchased Béquet. “We’re excited by the synergies Béquet and their caramel provides and are already seeing growth in both brands as a result of the convergence,” Doscher’s Co-President Jon Nielsen told CandyStore.com. Founded in 2001, Béquet Confections has won several national awards for its unique gourmet caramel varieties. Robin Béquet built the business from her own kitchen in Bozeman, MT and started out driving to local gourmet markets. Her big break came from the Fancy Food Show in New York, where judges awarded her the Aisle-by-Aisle award. Doscher’s is known for their nostalgic French Chew Taffy line of products as well as candy canes. They are now the oldest continually operating candy company in America, founded in 1871. Necco previously held that title before shutting down in July last year. The sale closed today, February 7th, 2019. Béquet products will be available for purchase through Doscher’s in the next 30 days.